Cube knows that there is something missing: it's not his fault if he never finds his scarf, if he doesn't remember he's wearing a hat, if his room is always a mess… a huge box unveils small surprises that go with this strange character. 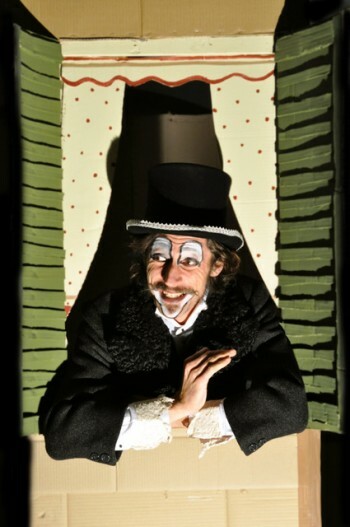 A dreaming, poetic performance with clowneries and mimic sketches. Teatroallosso è una compagnia teatrale di Crema, dedita al teatro per l’infanzia, per ragazzi e famiglie. Le loro produzioni, narrazioni e laboratori prestano particolare attenzione all’utilizzo di un vocabolario ironico e all’entusiasmo delle piccole cose quotidiane.